Circa Fifties opened in November 2013 in the Custard Factory, and serves a very specific vintage decade (can you guess which one?!). Selling original and revamped 1950s furniture, kitchenalia, memorabilia and clothing, the shop is a real shrine to the decade. In addition, the shop is decked out in custom-made American diner furniture and a bar, which is also available to order to fit exactly into the space you have. Owners John and Alison have been immersed in the 50s/rockabilly scene for many years, but this is their first retail venture. They will be organising 50s inspired events at the Custard Factory soon; rest assured we here at Digbeth Residents Association will be keeping you informed of any events, so make sure to check back regularly! 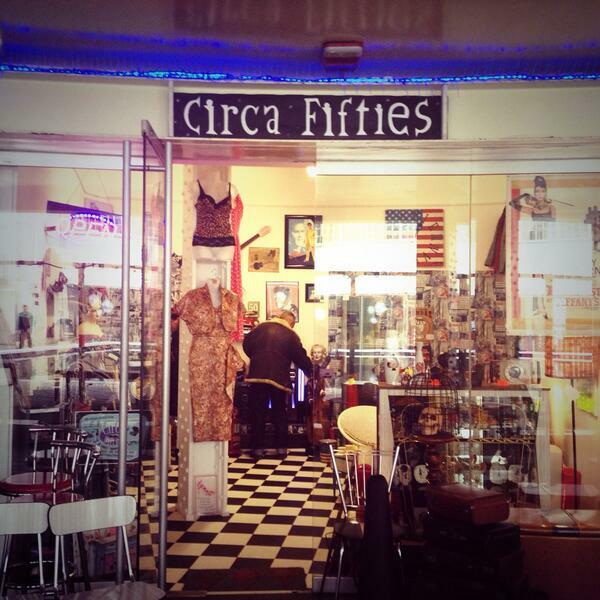 Find more information about Circa Fifties on their Facebook page. Next story Help Protect Yourself – More dates for 2014!